Text By Sanjay © All rights reserved. Camping out in nature doesn't always have to equate to roughing it. Whether you're a car camper or a backcountry minimalist, there are a variety of items you can purchase to make camping more relaxing. This guide will cover a range of items you can add to your camping gear to make trips more comfortable. Having a restful sleep is important regardless if you're camping or not. There are varying sleeping pads and mats available to help you sleep comfortably in the outdoors. Mattress pads also elevate and insulate you from the ground, helping you stay warm on cold nights. Foam and inflatable mattresses come in several lengths and thicknesses, and in lightweight to extra thick mats. If using inflatable mattresses, consider purchasing a 12V or rechargeable air pump; they'll save you time when setting up your sleeping quarters. For those with room to spare, a cot can be an excellent add-on. You can even get organizers to hang off the cot's side to keep personal items within reach. Don't forget a pillow. Camp pillows feature a soft casing (often flannel). Small models are available with the space-conscious camper in mind and can be compressed when packed. 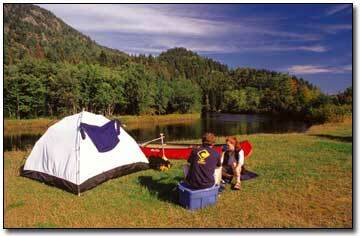 Small accessories can help make your tent more comfortable, especially in rainy weather. Portable, battery operated lights and lanterns, small radios, and fans are some examples. Look for these accessories in models that can be hung from the tent's ceiling or suspended another way so you're not forced to hold them. A deck of cards, a small board game and a book are good to have too in case you get caught in a day-long downpour. It's a good idea to bring some extra supplies for your tent, especially tent pegs. A mallet for driving in and removing stakes is another timesaving device. Finally, a spare piece of carpet, or an actual mat, is handy to leave outside your tent door to hold footwear and wipe muddy feet. I find everything tastes better outdoors, from strawberries to bologna sandwiches. Consider expanding your camp kitchen accessories and treating yourself to a little outdoor luxury. One of my priorities camping is a reliable coffee maker. Percolator models are the norm at many camps, but I've had success too with paper filters and a kettle. Drip style, portable models are also available. You can also indulge in a specialty coffee with a portable, espresso maker. You may be surprised what's available to add a little class to camp drinking. For the romantic, there are shockproof wine glasses. A quality stainless steel, travel mug and/or thermos can be a real perk to keep drinks insulated and at the right temperature (either hot or cold) for several hours. Flasks are also useful for other adult beverages. A variety of dishes are available for serving your meals. Utensils are items that can add some refinement to outdoor dining without cramming your pack. Make sure you pack the necessary utensils on a trip. It may be fun to pan-flip the odd flapjack over a bed of coals, showcasing your cooking talents to friends, but when your food supplies run short it's better to use a spatula and not risk ruining a meal. Also, pack a sharp, fillet knife if you plan on eating the occasional fish on your trip, but clean fish well away from your campsite. There's a variety of collapsible tables on the market for eating and cooking on. These can come in handy if suffering from a sore back. They prevent you from needing to lean over to cook or eat your food. The lines between outdoor and indoor cookwear can really become blurred for the individual with enough room to transport whatever they choose. Cast-iron gear comes in many models, such as: pans, Dutch ovens, griddles and pots. For pack-weight conscious campers, lightweight, stainless steel cook sets are available. In most cases, cast-iron is intended to be used over a fire, while stainless steel is for cooking over a camp stove as steel tarnishes if used over a wood-fire. Don't forget an outdoors cookbook. They're filled with great meal ideas for the outdoors, that can be both entertaining to prepare and delicious to eat. Plan your meals before you leave, so you can pack the necessary spices and ingredients. Treat yourself to some specialty sauces in the backcountry and purchase small, carrying containers for them if tight on space. Finally, you'll solicit a lot of attention from scavengers of all sizes, from ants to bears, when you bring food to a campsite. To discourage unwanted wildlife guests: keep your camp clean and properly hide your food. Sitting around a campfire during the evening is a classic camping image. Yet outdoors temperatures can quickly cool and sitting on a log can become uncomfortable after a while. So why not be prepared to enjoy an evening blaze? Sturdy, portable chairs have replaced aluminum lawn chairs. The new models feature durable materials, stronger frames, and some even have headrests and drink holders. Better yet, many are collapsible, folding into their own carrying case for easy transport. To stay warm at a fire, a small fleece blanket can block out a night's damp chill. Without listing all the clothes to bring camping, some are worth repeating in this guide. Light weight towels must be a part of your camping gear..!. Carrying a vest camping can help regulate your temperature, whether you're stationary or active. Convertible pants are also extremely useful, letting you easily switch from pants to shorts. A hat keeps you warm and provides protection from the sun. A bandana should accompany you on every trip. These simple squares can serve numerous functions from head protection to a washcloth. Sunglasses are also important to provide protection from UV rays. Round out your list with long and short sleeve shirts and pants, and carry clothes you can layer. Just make sure you don't overlook your basic needs when adding a little luxury to your next outing.